Six young women from Norfolk who have vanished or been found dead over the past 40 years were not victims of serial killer Peter Tobin, police said. Norfolk police say there is no evidence linking him to the unsolved cases. Former church handyman Tobin, 63, was this month convicted of murdering 18-year-old Dinah McNicol from Essex. He also murdered Angelika Kluk and Vicky Hamilton. Vicky and Miss McNicols' remains were found buried in the garden of his former Kent home. Recent reports had suggested he could also be responsible for some unsolved cases in Norfolk. Norfolk police said they had investigated the possibility of links between Tobin and a string of unsolved cases involving young women in the county. The cases they looked into concerned Pamela Exall, who was 21 when she disappeared in 1974, Yvette Watson, 17, who vanished in 1979 and Natalie Pearman, 16, who was found dead at Ringland, near Norwich, in 1992. Others include Johanna Young, 14, found in a pond on Boxing Day 1992, April Fabb, 13, who disappeared in 1969 and Susan Long, 18, found dead in 1969. But officers said after a thorough investigation they had found no links. 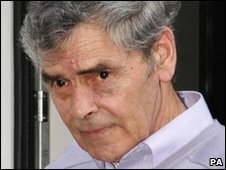 A spokesman said: "The potential link with Peter Tobin has been investigated and there is no evidence at this time to suggest a link between him and offences in Norfolk. "These will remain live inquiries and we would welcome any new information." The father of Dinah McNicol has spoken of his relief following Tobin's conviction. Tobin, who has also used several aliases including Peter Wilson, James Kelly, Paul Semple, John Tobin, Peter Proban and Pat McLaughlan, was told he would spend the rest of his life in prison following the trial earlier this month. The jury took less than 15 minutes to find him guilty of killing Miss McNicol, of Tillingham, near Maldon, after a three-day trial. 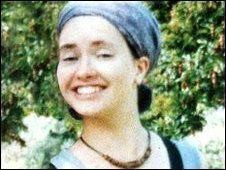 The sixth former, who died before getting her A-level results, vanished in August 1991 while hitch-hiking to her home after a music festival in Hampshire. Her father Ian told BBC Essex that he was taking "some comfort" from the events of the past few weeks. Mr McNicol said: "Don't mention the word closure, you cannot in my situation use the word closure, because she's still alive to me." The 70-year-old said that after 17 years it was satisfying to find his daughter and be able to put her to rest with her mother. "I wanted to find her. I can now die in peace as an old man knowing that everything has been done properly. "This scumbag will never ever be able to touch a young lady or young girl or a young kid again, ever."